The official reveal trailer for NBA Live 19 has dropped at EA Play 2018. As you might expect, the trailer mostly focuses on the game’s career mode, The One. 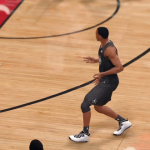 There are snippets of NBA gameplay footage as well however, albeit from cinematic angles. After all, it is a reveal trailer, and not raw gameplay. Improvements to the animations, from dribbling to dunks and layups, are spotlighted in the reveal trailer. Some of the new locations for The Streets are also on display, and the voiceover makes specific mention of the word “squad”, suggesting that there might be squad options in LIVE Run and Pro-Am this year. “Trust the Process” is also mentioned specifically, and Joel Embiid is featured in a few clips, suggesting that he might be this year’s cover player. Obviously this is just speculation for the moment, with more information about the game yet to be revealed. One thing we do know is that the game will be released on September 7th. 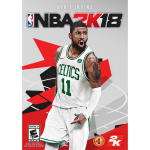 This has NBA Live 19 slated for release the same day as the 20th Anniversary Edition of NBA 2K19, whereas NBA 2K19’s standard edition drops four days later on September 11th. Clearly, EA Sports are eager to get people playing their game as soon as possible. What are your thoughts? Have your say in the comments section below, and join in the discussion here in the NLSC Forum. More information about NBA Live 19 should be coming out of EA Play, so stay tuned. We have our first teaser screenshot for NBA Live 19, via the official NBA Live Instagram account. 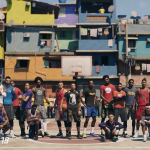 The screenshot features a variety of current and former NBA players posing on a street court, with the Legends wearing their throwback jerseys. WNBA player Maya Moore and NBA Street character Stretch are also notably among the players in the screenshot. While there’s still a lot to learn about NBA Live 19, this obviously confirms the presence of NBA Legends, at least one NBA Street character, and WNBA players in this year’s game. 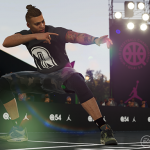 It remains to be seen what capacity Legends and WNBA players will appear in throughout the game, but if nothing else, it seems as though they’ll be present in The Streets. From the screenshot, and other teasers from the developers on Twitter, it seems that international street courts will also be featured this year. NBA Live 19’s presence at EA Play 2018 will allow us to find out more about the game very soon. Details are expected to be revealed during EA’s press conference, which will begin in about eleven hours. You can stream it live here on YouTube, or watch it below once it begins. You can also check out the full size teaser screenshot below. What do you make of the teaser? What are you hoping or expecting to hear about NBA Live 19 during EA’s press conference? Have your say in the comments section below, and join in the discussion here in the NLSC Forum. Today’s NBA 2K18 PC file additions include the latest face updates, a custom court, and a new modding tool. Check them all out at the links below! 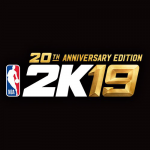 NBA 2K19 will have a 20th Anniversary Edition, as per teaser images posted by the game’s official social media accounts. Further information on this year’s game would appear to have been leaked via promotional materials at GameStop, which seemingly reveal LeBron James as the cover player. 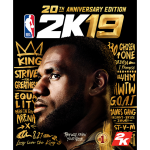 At this time, it’s unclear as to whether LeBron will be the cover player for the standard edition of the game as well, or just the 20th Anniversary Edition. 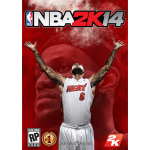 He previously appeared on the cover of NBA 2K14, which was a launch title on the current generation. According to the promotional signage, the 20th Anniversary Edition will be available on September 7th, while the standard edition will be available on September 11th, confirming another Early Tip-Off Weekend promotion. Presumably the slogan refers to the theme of this year’s MyCAREER mode, which likely confirms another story-driven experience. We’ll be sure to post more information as it becomes available, and discuss the developments in forthcoming episodes of the NLSC Podcast, but for now, what’s your take? Have your say in the comments section below, and join in the discussion here in the NLSC Forum. 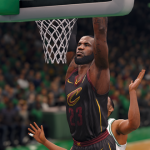 Today’s file additions for NBA 2K18 PC include a couple of player updates, namely new hair for Josh Jackson and an updated face for J.R. Smith. Check them both out at the links below! 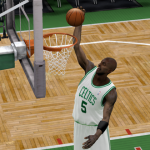 Here are the latest file additions for NBA 2K14 PC! Today’s new releases include a handful of courts, some future prospect faces, and a new face for Patrick Ewing. Check out all of the new mods at the links below. Today’s big batch of file additions for NBA 2K18 PC features Player DNA attributes and a handful of faces. Check out all of the latest releases at the links below!